I have taken a few “pregnancy photoshoots” lately and I have looked on in awe and slight envy at the blooming ones beautiful blemish free bumps. Like a smooth giant Easter egg with no hint of a tan, they look like a ceramic wonder compared to my tummy that resembles the craters of the moon. I lovingly applied bio oil three times a day during my first pregnancy even though at times I did feel it made the stretchy itch you get around 22 weeks even worse. At the end of week 36 I had a belly worthy of an advert for their miracle oil. However, by week 38 my beach ball had started to drop and suddenly the now my stretched skin, pulled taught like a tight rope, gave up it’s fight for elasticity. A second pregnancy, 2 years later and I bear even more scars of the journey that is pregnancy. I have tried every cream in the book. 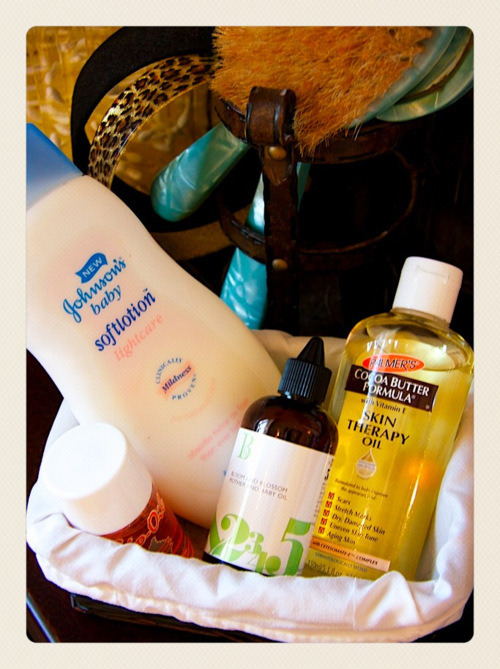 If I see a review rating the latest cream/oil/lotion/potion I rush out to buy it. These are my current collection of potions and I am not sure any have made a dramatic difference. 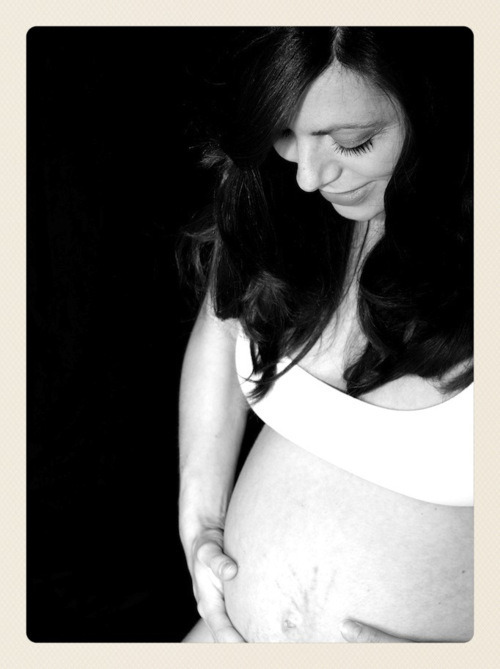 I am always looking for inspiration for pregnancy shots and I don’t think I have ever seen a single stretch mark in any of the perfectly light, beautifully edited photographs. Part of me wishes I had used the power of photoshop to make the photographs my husband took of me stretch mark free but then I think what on earth am I doing?! Those marks are the proof that I have carried two beautiful boys, sacrificed my smooth skin for something much more precious. I shouldn’t be embarrassed on the beach if god forbid, I put on a bikini this year. I should be proud of the handprint that creeps over my belly button and the pinky lines, which are very slowly turning silver and when I look at my stomach have the glimmer of a shoal of fish swimming down. So here I am in all my stretch mark glory for everyone to see.